It's time to turn the old cauldron down to simmer again so my sweet and very patient wife and I can join you all in celebrating this holiday season. 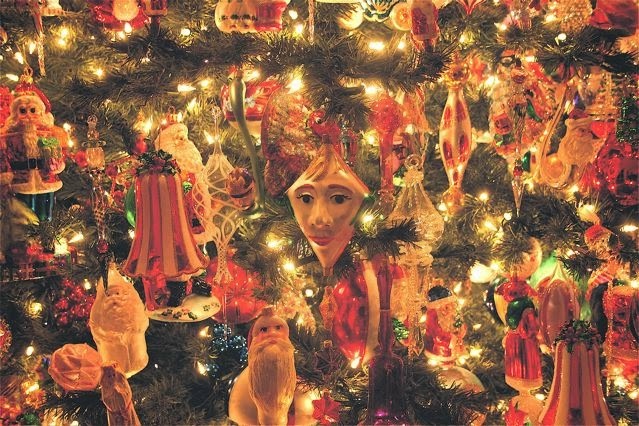 Enjoy the photo of my neighbor, Sharon's, tree... thousands of lights and ornaments. It's been a very interesting year, to say the very least. I doubt there has ever been a need for more "peace on earth, goodwill to men" in Costa Mesa than right now, today. Thanks to all of you who try to make our city a better place. Your efforts are very much appreciated. I'd list you all here, but that would exceed the limits of the storage on this site. And thanks to the thousands of you who read these pages each month. I know some of you don't agree with me, but that's OK... You're still welcome here. And, before we close for now, keep your eyes peeled for the Daily Pilot DP 103, which is scheduled to be published on Friday. It's always an adventure and fun to see which of our neighbors make the list - and which do not. 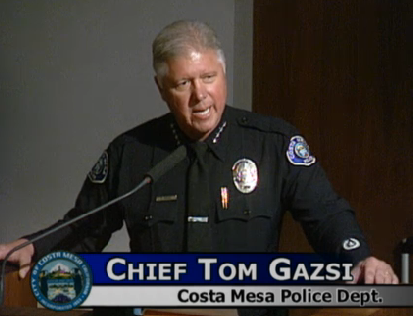 Last year Chief Tom Gazsi was, appropriately, listed in the top spot. He's moved on to an exciting new assignment so I have no idea who will lead the pack this year - it sure won't be me! As has become a kind of tradition here, I present to you for your listening pleasure, one of my favorite Christmas parodies - the remarkable Stan Freberg's Green Christmas. Yeah, you have your Bing Crosby's White Christmas and Johnny Mathis singing Silent Night, but nothing says Christmas to me like old Stan. We'll be back sometime soon. So, a Very Merry Christmas to you all and a Very Happy New Year. Go Ducks - win two! Thank you for the Christmas greeting and the Stan Freberg Christmas Carol. I wish you and Suzy a very happy Christmas and new year, and a refreshing respite from politics. Geoff and Suzy, my family and I want to wish you both a very Merry Christmas. Enjoy every minute. Merry Christmas from the Great Northwest!It appears we have our version of the 3 stooges up here too.